Celebrated as a rapper, actor, poet and activist, Tupac Shakur was a hugely influential figure in the world of rap and hip-hop right up until the moment when he was killed in a drive-by shooting at 25 years young. That was in ’96, and the ensuing murder investigation that spawned over both Tupac and Christopher Wallace’s (The Notorious B.I.G.) deaths will fuel both LAbyrinth and Unsolved, USA’s crime pilot headed up by Josh Duhamel (Transformers: The Last Knight) and Bokeem Woodbine. 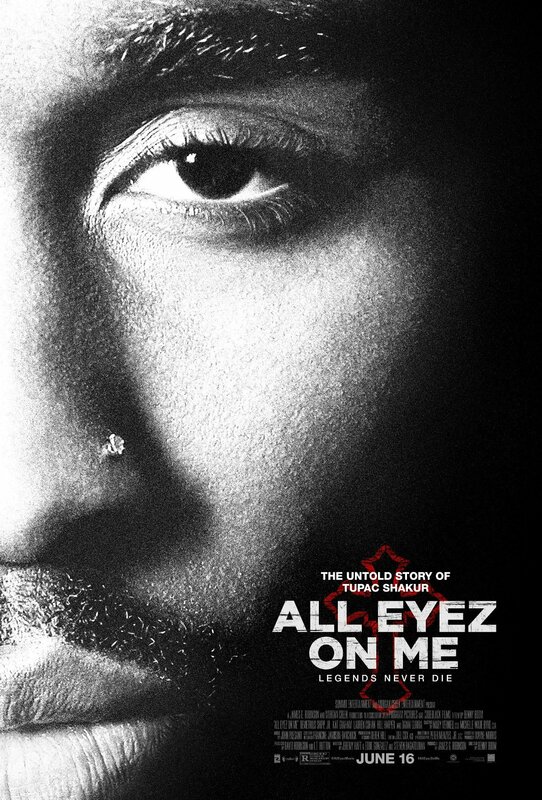 But there’s another project concerning 2Pac on the way, and its name is All Eyez On Me. Truth be told, Lionsgate’s rap biopic has been languishing in development for years, but we finally have word of a release date: June 16th, and the gripping first trailer has arrived to prove it. In it, we see Demetrius Shipp Jr. take on the role of the visionary artist, flanked by Kat Graham, Lauren Cohan, Hill Harper, Jamal Woolard and Danai Gurira. From roadie/back-up dancer to one of the biggest artists on the planet, Benny Boom’s biopic is set to chronicle 2Pac’s blistering rise to superstardom, and how he made a few enemies along the way. Whether it can hit the dizzying heights of Straight Outta Compton – F. Gary Gray’s pic nabbed $210 million and an Oscar nod for Best Original Screenplay – is another question entirely, but you can find the film’s official logline, below. Promising to tell the true and untold story of one of the greatest rappers to ever live, All Eyez On Me bows in select theaters on June 16th.